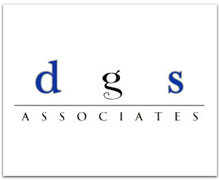 DGS Associates was established in the year 2006 and is situated in New Delhi, India.DGS Associates is a full-service law firm having a multitude of international and domestic clients, including corporates, non-resident Indians and individuals. Each client is advised by a team of dedicated and experienced professionals under the supervision of a partner. We believe in helping our clients from the very inception, from setting up their business in India, holding the clients’ hands and guiding them in their day-to-day conduct of business and handling and resolving any legal issues that may arise during the course of business. Interior Designer – ANP Atelier & Associates - ANP Atelier & Associates is an offspring of Parmar Construction, firm with vast experience in execution of various public(MES & C.P.W.D) and private sector projects in the past 25 years of their existence. Our Design Excellence philosophy revolves around our central goal – to create structures and environments of lasting aesthetic quality and functionality. We strive to design spaces that capture the imagination, lift the spirit and move the emotions. These are the structures that stand as testaments to the power of planning, architecture, engineering and interior design to better our global surroundings. 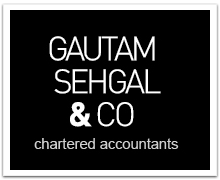 Gautam Sehgal & Company is a chartered accountant firm which has a vision of providing swift, pragmatic and high quality services to their clients. The firm has a well established network within the CA community and is empanelled with Reserve Bank of India for audit of Nationalized Banks. The firm is also empanelled with Department of Trade & Taxes, Delhi for conducting special audits on behalf of the department. Asia Research Partners – Asia Research Partners is a leading provider of cutting edge Market Research & Business Intelligence Solutions to its clients across industries and geographies. The solutions are aimed at meeting strategic and insightful information needs of its clients. Its strong experience across industries and geographies, and access to varied research tools and a dynamic and highly skilled Analyst team enable them to provide solutions that help to support the growth of its clients. Asia Research Partners service offerings span the entire value chain of market & business intelligence from research, consulting and analytics support for discovery of opportunities and problem solving to the development, deployment and maintenance of solutions and products that aid its clients’ goals of growth, diversification, cost optimization and operational efficiency.